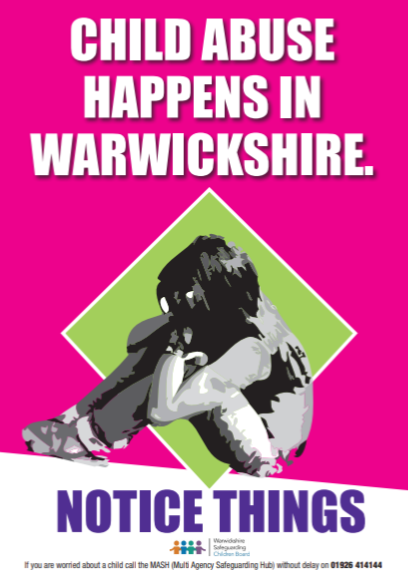 The procedures contained in our Child Protection and Safeguarding Policy apply to all staff, volunteers and governors and are consistent with those of Warwickshire Safeguarding Children Board (WSCB). Our Designated Safeguarding Lead is Mrs Jane Tailby. Our Deputy Designated Safeguarding Leads are Mr Nigel Green, Mrs Lisa Pinkerton and Mrs Lizzie Sartain. Under the Education Act 2002 (Section 175), schools must make arrangements to safeguard and promote the welfare of children. Parents/carers should know that the law (Children Act 1989) requires school staff to pass on information that gives rise to a concern about a child's welfare, including risk from neglect, physical, emotional or sexual abuse. Staff will seek, in general, to discuss any concerns with the parent/carer and, where possible, seek their consent to make a referral to Children's Social Care, if that is considered necessary. This will only be done where such discussion will not place the child at increased risk of significant harm. The school will seek advice from Children's Social Care when hey have reasonable cause to suspect a child may be suffering, or likely to suffer, significant harm. Occasionally, concerns are passed on which are later found to be unfounded. Parents/carers will appreciate that the school's Designated Safeguarding Lead carries out their responsibilities in accordance with the law and acts in the best interests of all children. You can view our Child Protection and Safeguarding Policy by following clicking here. 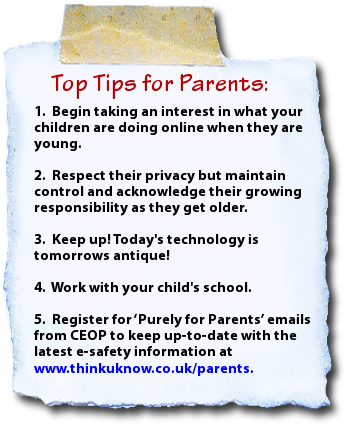 Here at Bridgetown, we are committed to ensuring that children, staff and our school community stay safe in the digital world. To demonstrate our dedication to becoming an 'e-safe' school, we worked extremely hard to achieve the prestigious '360 degree safe' certificate, which involves a thorough review of policies and practice related to digital technology. You can find additional information via our 'useful links' page. Each year at Bridgetown, all children take part in the Taking Care Project as part of the PSHE (Physical Social and Health Education) curriculum. We have been using this project over the past two years as a school and it is taught by the class teacher. It is a countrywide programme about Protective Behaviour that helps prevent abuse and harm. In order to protect children everybody needs to take responsibility for their own behaviour towards them. Through this programme the children will have age appropriate information that will help them identify when they don’t feel safe and equips them with skills and strategies so they can get help to feel safe again. In October 2018, all employees took part in an inspiring 'Taking care' training day to develop consistency, knowledge and understanding across our school of how to promote the best and safest environment in which children can learn, grow and thrive. We can talk with someone about anything, even if it’s awful or small. As a school we value the care and welfare of each one of us and value the responsibility we have to ensure that children understand the importance of feeling safe and that they can develop a network of people who they can choose to talk to. Through this programme we can teach children to be aware of their safe feelings, recognise how they feel in different situations, who they can talk to and the importance of their own body privacy. And finally, it is a programme that supports children taking responsibility for their behaviour and recognising that we should all respect other people’s right to feel safe.